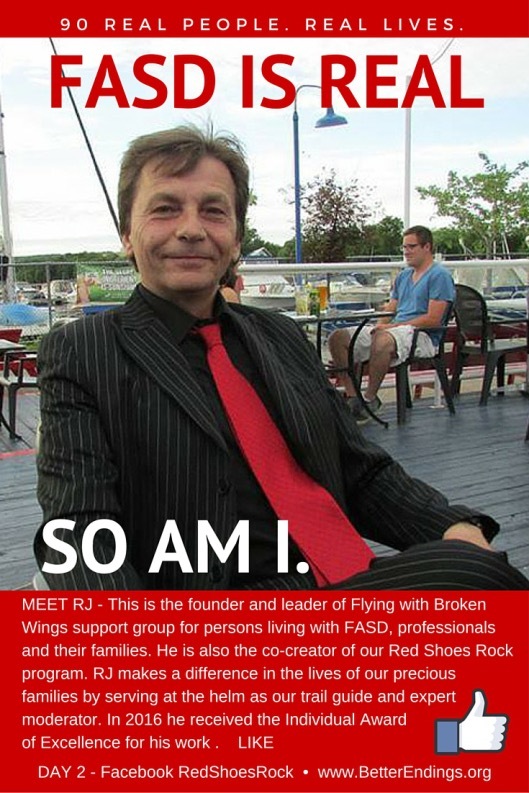 I’ve been following and participating in the Red Shoes Rock awareness campaign for the last two years. This year, the third, a new awareness feature has been developed which has to be the best one yet. The campaign started June 12, 2016 and runs until September 9, 2016 (which is International FASDay) as an International Virtual Relay Race on Facebook and other social media channels. 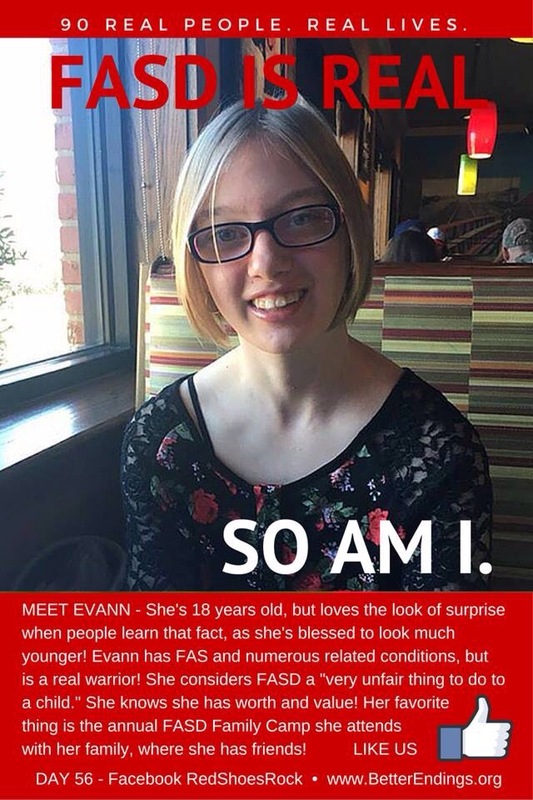 Each day one person who is living with FASD is featured. Red Shoes Rock International Relay Race is a collaborative effort by RealMindz, Better Endings New Beginnings, It’s Mackie’s World and Parenting Complex Children. Check out the Real People Real Mindz website FASD IS REAL for profiles of each of the individuals featured. It is both heartwarming and heartbreaking to read the successes and struggles. As a parent raising a child with FASD it is also inspiring and gives me hope for my daughter’s future.